Shiitake Mushrooms: Gourmet Ingredient or Medicinal Powerhouse? You are here: Home / Featured Articles / Shiitake Mushroom: Gourmet Ingredient or Medicinal Powerhouse? You can find it in everything from Asian stir fry and Vietnamese pho to Italian-inspired Fettuccine Alfredo and even atop your favorite All-American, flame-broiled burger. That’s because shiitake mushroom, known scientifically as Lentinula edodes, is one of the world’s most popular gourmet mushrooms. And for good reason… it’s insanely tasty and pairs well with almost any kind of food. But did you know that the shiitake mushroom is also highly medicinal? This characteristically brown, stubby fungi is one of the world’s most therapeutic functional foods. It holds a top spot in the scientific literature for its capacity to increase the human life force − what Traditional Chinese Medicine refers to as “chi,” or the Christian concept of the “breath of life” given by God to mankind. Shiitake is also highly regarded as a longevity mushroom capable of both improving quality of life and lengthening lifespan. There are myriad uses for shiitake mushrooms, both in anti-aging medicine and nutritional therapeutics. 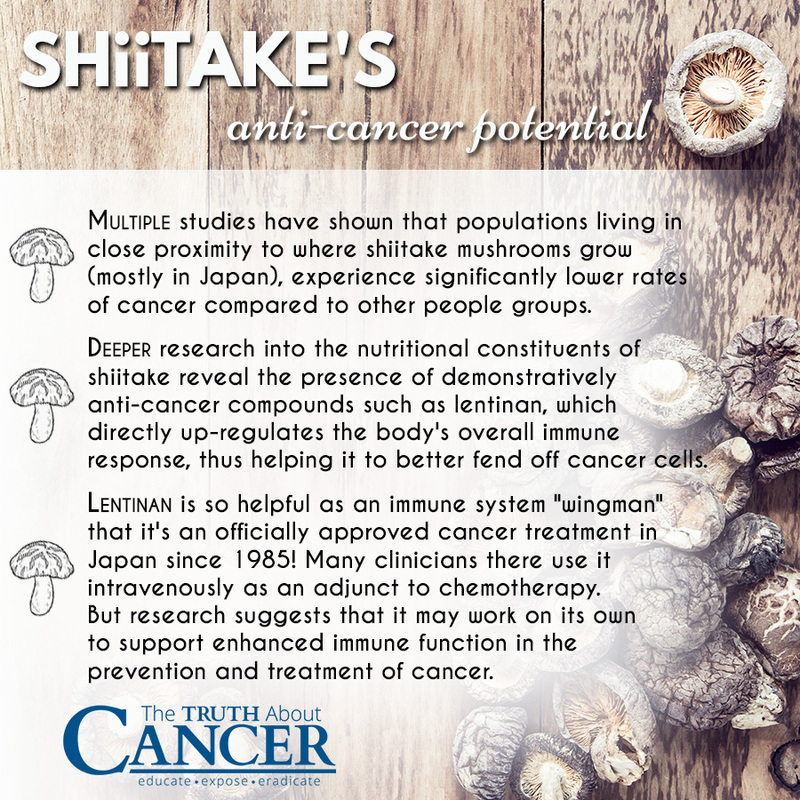 But the area I want to focus on for the purpose of this article is shiitake’s anti-cancer potential. For many years, shiitake has been a primary focus of research at the Mushroom Research Institute in Tokyo. This is because of ever-mounting evidence demonstrating its powerful ability to fight cancer cells, which is good news in a world increasingly riddled with cancer. Multiple studies have shown that populations living in close proximity to where shiitake mushrooms grow (mostly in Japan), experience significantly lower rates of cancer compared to other people groups. This correlation is quickly proving to be causative. More advanced research into the nutritional constituents of shiitake reveal the presence of demonstratively anti-cancer compounds such as lentinan, which directly up-regulates the body’s overall immune response, thus helping it to better fend off cancer cells. Like most edible mushrooms, shiitake is loaded with complex carbohydrate compounds known as polysaccharides that fuel the body’s uptake and storage of energy. Mushroom polysaccharides also help kickstart the immune system, revving it into “overdrive,” so to speak, as a means by which to maximize resistance to infection and disease. In terms of how it interacts with cancer cells, lentinan doesn’t actually kill them. Instead, it helps spur the immune system to kill cancer cells which, believe it or not, is the immune system’s job. This fact often gets lost in the mainstream narrative about cancer, but it’s true. If your immune system is healthy and functioning optimally, it’s fully capable of keeping cancer cells in check so they don’t develop into tumors and metastasize. Lentinan is so helpful as an immune system “wingman” that it’s an officially approved cancer treatment in Japan, and has been since 1985! Many clinicians there use it intravenously as an adjunct to chemotherapy. But research suggests that it may work on its own to support enhanced immune function in the prevention and treatment of cancer. A beta-1,3 glucan, lentinan is a bioactive polysaccharide that’s uniquely present in shiitake mushrooms, though it hails from the larger beta-glucan family of mushroom compounds that’s been extensively studied for its extensive immunotherapeutic properties. What makes lentinan uniquely special is its ability to perform an array of anticancer functions. Everything from increasing nutrient absorption to boosting white blood cell counts and minimizing pro-inflammatory cytokines. Lentinan has shown efficacy in the treatment of leukemia, sarcoma, myeloma, as well as cancers of the stomach, bladder, and colon. One study published in the journal Cancer Detection and Prevention back in 1987 describes lentinan as “a unique class of immunopotentiator,” further delineating its ability to trigger “the increased production of various kinds of bioactive serum factors associated with immunity and inflammation.” The incredible thing is that is does all this while generating few, if any, toxic side effects. Part of the reason why lentinan is often used in conjunction with chemotherapy and/or radiotherapy treatments is that it helps heal the chromosome damage caused by the systemic poisoning of the body with cytotoxic chemical drugs and radiation. Studies on cancer cell lines, including one on gastric adenocarcinoma cells, have also shown that lentinan is potently apoptotic, meaning it induces programmed cancer cell death. There’s another way that lentinan works to target cancer, and it involves its ability to alter certain gene processes responsible for mitigating the growth and spread of cancer cells. Research published in the peer-reviewed Avicenna Journal of Medical Biotechnology investigates this emerging target of cancer research, known as telomerase, and how lentinan interacts with it to help keep cancer at bay. Each strand of DNA in your body is equipped with built-in protective caps known as telomeres that exist on each end of the chromosomal structure. Some scientists have likened these telomeres to the plastic tips on the end of shoelaces that keep them from unraveling. This is because they operate in much the same manner − guarding DNA strands from factors that might contribute to their eventual unraveling. As we age, our telomeres gradually shorten due to decreasing quantities of telomerase, the enzyme responsible for adding nucleotides to telomeres. In other words, telomerase acts as a type of building block for maintaining the integrity of protective telomeres. But cancer cells also have telomeres that grow and respond to telomerase, and this is the type that lentinan works to stop in its tracks. Telomerase activity in healthy cells is typically not detectible, at least in the sense of expanding the length of telomeres like it does in upwards of 90% of cancer cells. This proliferative effect is why cancer cells spread and metastasize, a highly destructive process that can be avoided through the application of lentinan. Acting to suppress the mRNA expression of human telomerase reverse transcriptase (hTERT), lentinan was shown in the aforementioned study to inhibit the activity of telomerase in feeding the DNA strands of cancer cells. It thus stops cancer cells from doing what they do best: supplanting healthy cells and taking over their host. Consuming lentinan in the form of whole shiitake mushrooms is relatively safe, although mild side effects like skin inflammation, upset stomach, and small bowel obstruction have been reported, according to the Memorial Sloan Kettering Cancer Center. Injections of lentinan come with their own unique risks, especially when administered quickly. These include fever, chills, decreased white blood cell count, and elevated liver enzymes. The other way to receive the benefits of lentinan from shiitake is through a high quality supplement which allows for a steady, constant supply which is not dependent on finding and preparing shiitake mushrooms to eat. Generally speaking, as demonstrated in the larger body of scientific literature, shiitake mushrooms and lentinan are safe and effective functional foods (and supplements) that have a rightful place in the arsenal of natural, anti-cancer medicines. Medicinal mushrooms like shiitake, reishi, maitake and turkey tail are some of the most effective weapons against cancer. Big Pharma won’t tell you though. They don’t make profits from it. Shiitake are easy to cultivate, and the other three can be found in nature. Thanks for the information, Ty. Just a curiosity, exactly how many supplement pills do you take each day? I’m still confused about the mushroom issue. This is the second article in the last month at this site that promotes the anti cancer properties of mushrooms, yet in the “Truth About Cancer, A Global Quest” Dr. Russell Blaylock states that things high in glutamine, like black beans and MUSHROOMS, you DON’T want to eat because glutamine is a powerful stimulant for cancer growth. Which is it? Good or bad? Wish Ty or someone would clarify this. I do have the same concerns as Leslie. Where is the answer? Would depend on whether u already have a cancer problem or if you’re just trying to eat a healthy diet to avoid risk of getting cancer. If u already have cancer you’d of course want to avoid consuming foods that stimulate it’s growth. Guess no one is going to answer this question. So, is there really a “truth” about cancer? Truth about cancer is that it is an idiosyncratic disease triggered by physical stresses (pollutants, toxins, diet, inherited genes) & emotional stress coming together to play havoc on a susceptible immune system of a particular individual. Who was more aware of avoiding toxins in the environment than Rachel Carson? And she got cancer, so there’s never just one ’cause’ but a confluence of factors creating the ‘perfect storm’ to bring on cancer in some individuals & not others. I know sounds almost like ‘luck of the draw’ but then u could say that about every disease, not only cancer. CANCER IS ALSO TRIGGERRED BY TRAUMATIC EMOTIONAL HAPPENINGS NOT RELEASED, HEALED OR LIBERATED IN THE FIRST SIX MONTHS THEY OCCURRED. ACCORDING TO SPECIFICALLY WHAT HAPPENED IS WHAT TYPE OF INFIRMATY/ CANCER AND WHERE IT WILL APPEAR YEARS LATER. SO, ITS NOT JUST THE REASON THEY SAY. ITS UNDEALT WITH EMOTIONAL TRAMA AS WELL. HOPE THIS SHEDS SOME LIGHT ON THE WHOLE TRUTH. The “Truth” is that, if you find a way to elevate the Cellular GSH levels to Maximum and keep it there for a while, at the same time to prevent sugar reaching in high quantities to the Defective cells, you will be able to assist your body to eliminate the defective cells. Cancer is not some outsiders, it is our own cells that goes “Crazy” because of many reasons including but not limited to communication. Our proper immune system should be able to recognize and act to eliminate them. When we luck energy, when the task is too big, that is when cancer can spread and grow. Restoring Maximum Natural Production of Cellular Glutathione will enable the body to produce energy, neutralize cellular Free Radicals, remove toxins, improve and restore communications, alkaline the body and other important function to empower and harmonize the Immunity System. 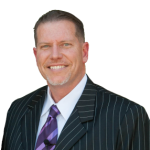 There are many ways to elevate Cellular Glutathione levels by Somewhat, up to 50% using the best supplements and changing life styles but in order to Maximize the Natural Cellular Glutathione Production we need to use a patented supplement. Natural Cellular Glutathione can be increased by average of 300% in “Healthy” individuals, it can be Increased way more in people who has been diagnosed by chronic diseases including but not limited to all type of cancer. There is a special formula that consists of the hair like root of Shiitake and some other mushrooms that are prepared in a proprietary process that produces Alpha Glucan. Alpha Glucan is lighter than Beta Glucan and therefore is assimilated even better. I am taking the product now for 2 months and am preparing a report on it and will be releasing it soon. Is Chaga effective in fighting auto-immune diseases and viruses?? Hello mbasdeo7, one thing I can say that will be helpful for prostate, is the herb, Saw Palmetto. Also cooking tomatoes which will provide Lutein, will be helpful. Zinc added to this is helpful too. I was thinking this article would either be about mushrooms or seaweed. 🙂 I’ve seen many articles about mushrooms on this site, and while they’re very good, I’d like to see an article or two about seaweed (from non-polluted waters of course) as well. It is an excellent source of iodine which many people are deficient in. Btw I was wondering if it is more beneficial to eat ALL or most mushrooms RAW? I think I read in Consumerreports that mushrooms should be cooked before consumption because of the bacteria. Raw, otherwise pyhtonutrients inside the mushroom will be destroyed upon cooking. 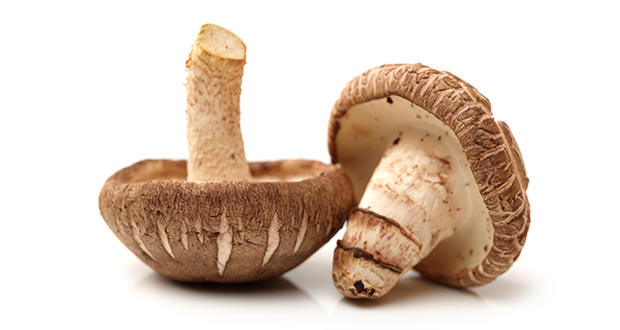 Be aware that eating raw shiitake mushrooms can cause a violent skin reaction that is not an allergy, but a toxin. The reaction caused an extremely itchy inflammation of the skin on most of my body that took more than 3 weeks to disappear. It affects I believe only 3% of the population, but I don’t wish this reaction on anyone. Eat them cooked or fried. I think that’s what Consumerreports said too. But certain mushrooms like the white pizza mushroom should be ok right? Btw to retain the most nutrients in ANY food is to steam them of course, since frying in HIGH temps tend to destroy them. I’m so disappointed that we can’t get the tumeric 3D you recommended, looks like they are permanently out of stock. Why do you recommend a company that can’t keep up with demand? I have Neuroendocrinetumor of the pancreas that is metz now to my lungs, kidney & liver. I’m seeing also a naturopath that gives me IV Vit C subcue mistletoe injection, cannabis oil orally, tumeric green tea cap. For the medical side I am getting Lanreotide injection once a month to suppress the tumor growth . Where can I buy the 7 M caps in Mississaga, Ont, Canada ? There’s so many things that my naturopath is giving me & expensive. Soon my budget is depleted cause I’m 75. & on fix income. I’m going to lessen on the herbs & will just take tumeric, green tea & the 7M mushroom. There’s so many supplements that you’re sending me Ty ( I appreciate it very much) but it requires lots of money & can’t find it in health food stores here in Canada. Thank you for sharing this article. When there’s life there’s hope. God bless you Ty & Dr. Nussum. Dr Al Seares promotes the use of Telomerase and says it does lengthen the Telomeres of normal cells as a means of life extension and does not seem to be concerned about any telomere extension of cancer cells. There seems to be a disconnect somewhere here. I see shiitake mushrooms available at my local supermarket. I had them once for my mushroom omelet. I should perhaps buy them and fry them and eat them. If I eat those particular mushrooms, are they going to prevent from getting cancer? I would steam them then dip them in your favorite dipping sauce since frying them in HIGH temps can destroy the nutrients. Epigenetic Labs has been overwhelmed with the amount of messages and phone calls they have been receiving. They are working very hard to get back to everyone as soon as possible. Do I understand, correctly, that this targets only the telemerase on cancer cells, and NOT the telemerase on normal cells? I’d really like a truthful answer to this question. Initially, I have become a big fan of TTAC because you are getting much needed hidden information out to the general public so we can make our own decisions about cancer treatments. However, recently it seems that every TTAC newsletter I get is little more than an infomercial for another supplement. Therefore, since Ty is the chief operator of this organization, I’m sure all of us out here would like to know which of all these supplements he and his wife actually use themselves on a daily basis, or on a less regular basis. Thank You. I would very much like to continue being a devoted fan, but I somewhat feel like this is becoming just another commercial enterprise with the $ as its mission’s bottom line. I guess I Am confused, I have cll ( leukemia) do I eat shitake mushroom or not?? I’m also confused and have leukemia or MDS (doctor said at first it was AML, then changed her mind). So are mushrooms, any type, good for you if you have cancer, or not. Steamed (that doesn’t sound very good to me), raw, or somehow cooked? I’ve seen many differing opinions. I know a man who has been boiling enoki mushrooms, then drinking the water, and swears it has kept him from having kidney dialysis for the last 14 years. Yes I wish to endorse this comment also would like more info on the role of an OVERACTIVE Immune system in causing cancers etc. I asked about this before but there was no response. A word of caution about all mushrooms. They are fungi that commonly live in moist, shady habitats, often with a large amount of vegetation growth. That isn’t necessarily the bad part. They are also very common in areas with a lot of heavy metal contamination from toxic dumping. They are particularly good at grabbing these metals out of the soil and can be one tool for soil bioremediation. So all of the immune benefits from mushrooms are mostly theoretical until true organically raised mushrooms have been scientifically tested (not just statistically “experimented”, as in surveys and “association” studies) on people who have been evaluated for their toxic load. Theoretically, one of the ways they boost our immune systems may be by grabbing the toxins that would otherwise kill immune cells. Research on macrophages, neutrophils and other immune cells shows that they are particularly sensitive to toxins. They get killed by them, unlike, say, fibroblasts (connective tissue cells), which are either unphased or just weakened by some toxins. This explains possible causes of leukemia and other cancers. So it is extremely important that you get your mushrooms, shitake and others, from farms using organic soil housed in areas unreachable by other farm waste in air or water. Otherwise, the metal content of mushrooms may prevent any desired immune benefit they theoretically have for you. Gilles, sorry but your an idiot and I’m not sure if I should even respond. I had Breast Cancer that was ER+ (Estrogen driven), ran everyday, haven’t drank soda in years and my rule for food is 90/10. I eat 90% great and 10% the occasion pizza/potato chips. Taking supplements is great especially when most of the US population doesn’t get the accurate amount of nutrition. I would be very careful about eating any mushroom that has been picked in the wild or on farms that do not use organic soil, and which are isolating the soil from other soils in the open air. E.g. best from a hothouse or grown hydroponically in carefully monitored water. All mushrooms tend to like the soil that is contaminated, grabbing all toxic metals, especially, and thus are really good at bioremediation. But that means those used to reclaim soil or which were picked from such soil are very dangerous to eat because they are loaded with toxins not made by the mushrooms themselves. I could not handle dried shitake that I bought from an import store while I was detoxing from strong metal exposure, because it had too many metals in them. They would cause severe itching and burning on my skin, depending upon which toxin was flowing there already. They will grab toxins inside the body, so they helps you detox and in this way probably boosts your immune system (immune cells are particularly sensitive to toxins), but only if you have a way of getting rid of the compounds that form. Our livers only break down organic compounds, but the detox compounds are inorganic, making it easier to detox, but only if you know what you are doing. The shitake and similar adaptogens are particularly difficult to use if you have a lot of different toxins in you, and many people liviing in the non-wealthy neighborhoods have them. Not sure if I am on the right page, but I have a question: Is 7M+ clinically tested? Thanks! The root cause of most (if not all) diseases is Cellular Inflammation. Cellular Inflammation is a result of Low Cellular GSH / Glutathione. The reason for low Cellular GSH levels are many, from luck of nutrition to Radiation, pesticides, herbicides, medication and stress. Many supplements including herbs and concentrated plants and mushrooms can help in raising Cellular Glutathione but the only way to return our body the ability to Produce Cellular GSH at Maximum levels is to use a patented supplement that contain RibCys. When you study the subject of GSH and recognize it’s function in the mitochondria you will be able to achieve Maximum health if you will know how yo use it.